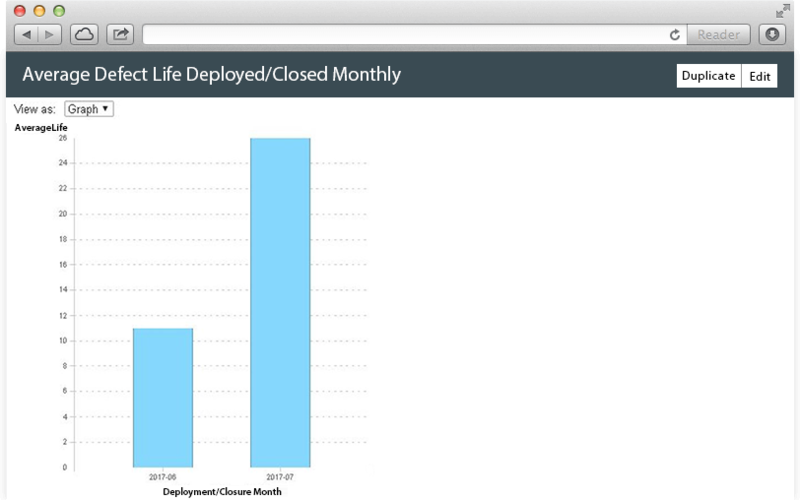 This widget shows the deployed and closed Defects each month for different sections. 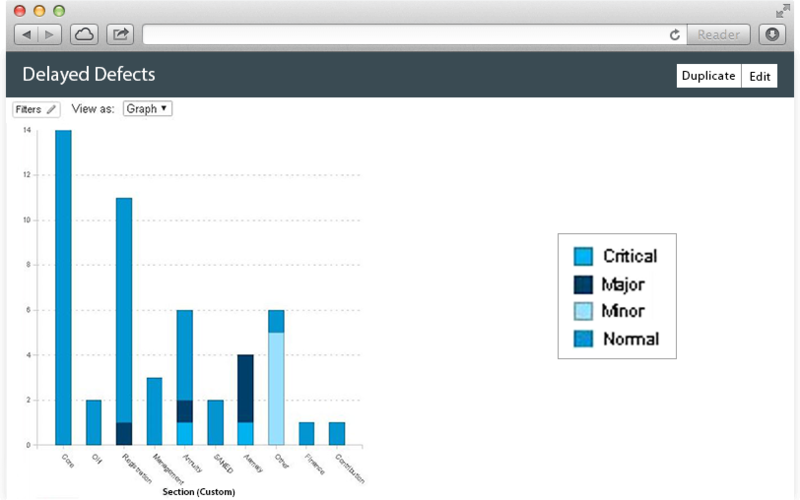 The widget lists number of currently active Defects in each of the Defect state. It also lets you know the Defects for each section in these states. 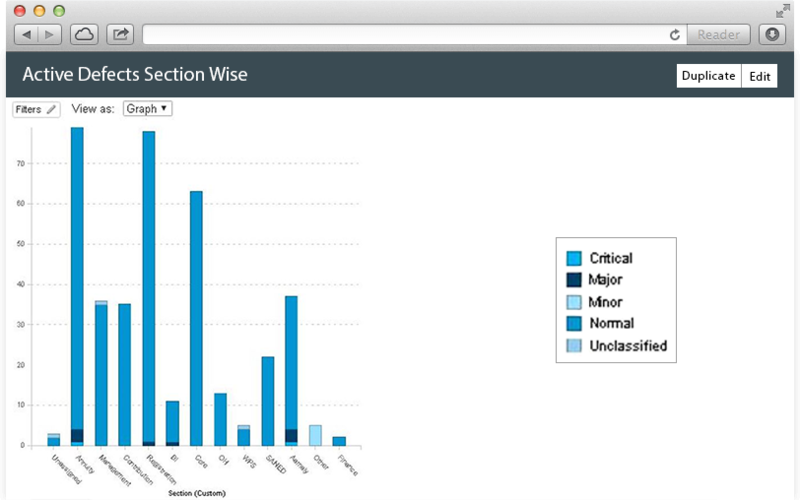 The widget lists number of active Defects for each section along with the severity of the defects. 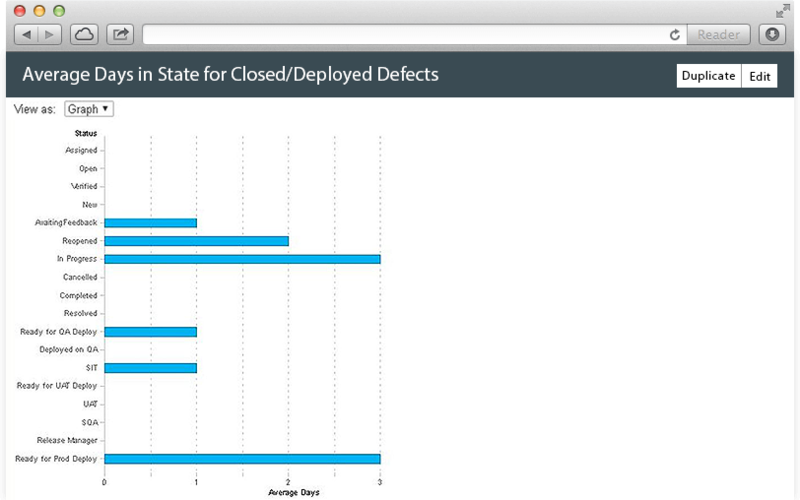 This widget lists average days spent by each Defect in a Defect state for closed/deployed defects. 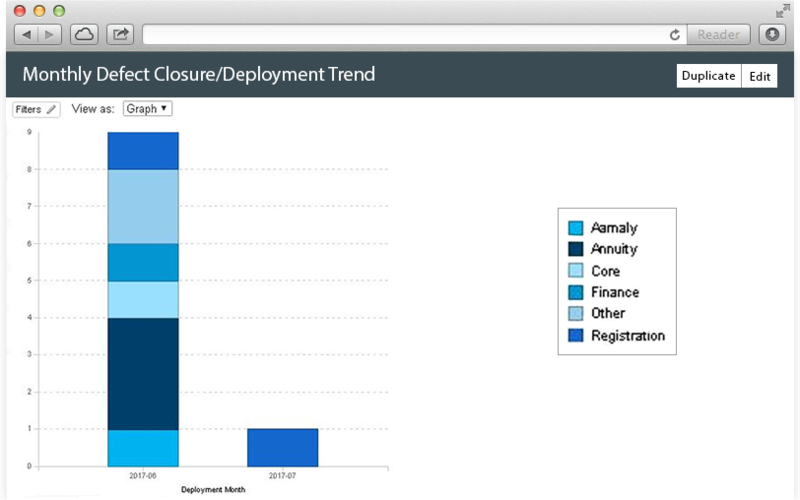 The widget shows a monthly trend for Defects closed or deployed in production each month. It provides average life of these Defects. The widget lists all active Defects for which due date has passed. The list is divided by Sections and Defect Severity. 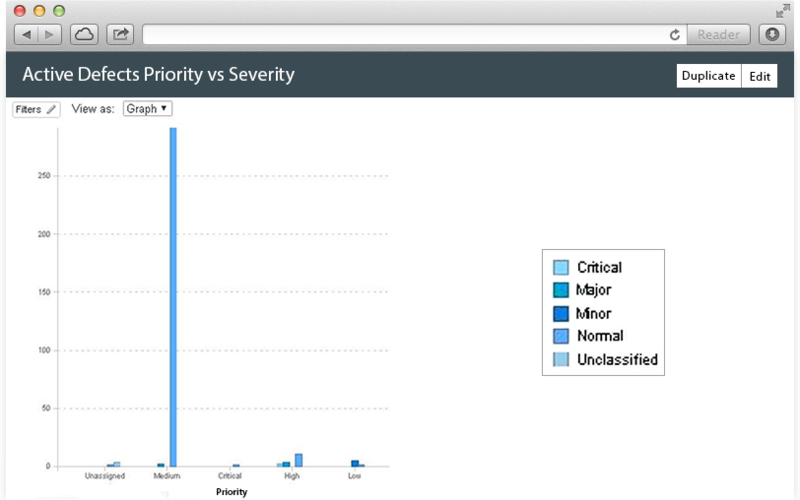 All open defects listed with priority vs severity.